Apple’s Mail app in iOS has never been particularly great at handling files, whether they be already attached to an email that was just received or are in need of being attached to an outgoing one. That’s an issue that has been around for as long as there has been a Mail app on iOS which, as we all know, is forever. 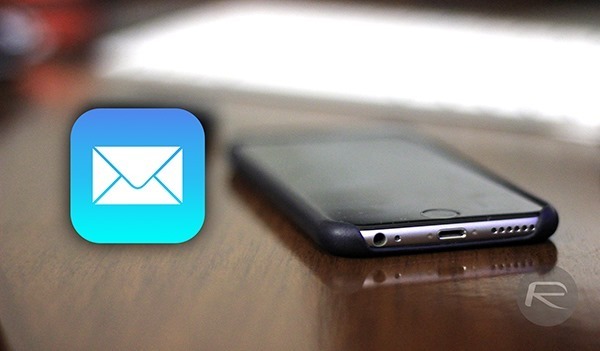 Thankfully, after another 8 iterations of iOS and in the year 2015, Apple has finally seen the light and given the Mail app a little more file-wrangling prowess, not just making it possible to save attachments from within an email to iCloud Drive and other online storage but also to attach files from such locations to a new email. Both variations on the same theme have been long requested and will be gratefully received. At this point though, and with so many power-users using third-party email apps like Spark or Dispatch, is it a little too late for Mail? Regardless of all that though, the new features are indeed welcome, even if we will have to wait until iOS 9 arrives later this year to take advantage of them. From what we have seen of the current beta release of iOS 9 though, saving a file to iCloud Drive or similar storage space is just a case of tapping and holding on an attached file until the Share Sheet appears. Now, on the bottom row you’ll find a new ‘Save Attachment’ option, though you may need to do some scrolling to find it. 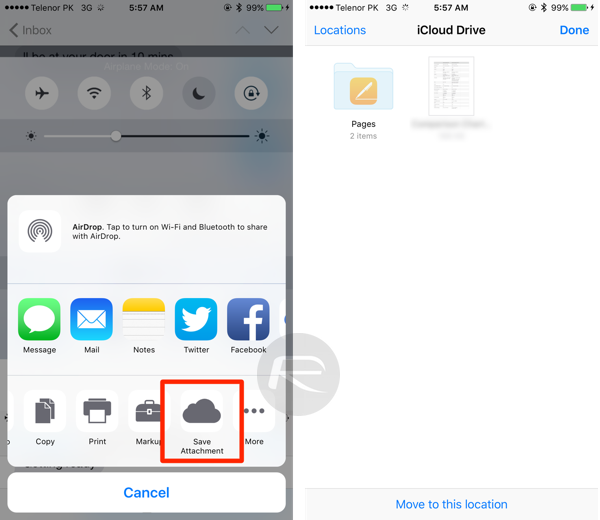 Tapping this button will open a now familiar window which shows the contents of iCloud Drive, along with a ‘Locations’ button that will allow users to select different storage spaces such as Dropbox or Google Drive. Adding attachments is simply a case of tapping and holding in the body of a new email and then selecting ‘Add Attachment’ after tapping the right arrow in the action menu. Users are again presented with a familiar window in which they can select the file they wish to attach. While neither of these things are headline features for iOS 9, if you find yourself working with attachments on iPhones and iPads then this could be a lifesaver going forward. It’s certainly something we’re looking forward to, anyway. Finally! Now we just need to be able to use images again in an email signature! Yeah, seriously, that’s been very frustrating.